Earlier this year, federal district judge Frederic Block issued an opinion ordering the defendants to pay significant damages for their violations of the Visual Artists Rights Act, 17 U.S.C. § 106A (also known as VARA). Now, Judge Block has denied the defendants’ request to reconsider his ruling, instead reaffirming and bolstering that earlier decision in advance of the defendants’ appeal to the Second Circuit. 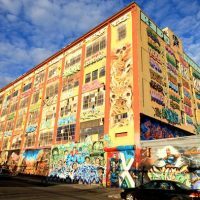 ​ This week, a federal judge awarded a total of $6.75m to the 21 graffiti-artist plaintiffs whose works were destroyed in the now-famous 5Pointz case.